The beginning – in 1881, Daniel Haynes built the first Sealy mattress and helped change the way the world sleeps. Tested and trialled by millions people worldwide, Sealy’s continuous efforts in Research & Technology Innovation to understand the nature of sleep allows us to craft products that provides best support and comfort for first class sleep. 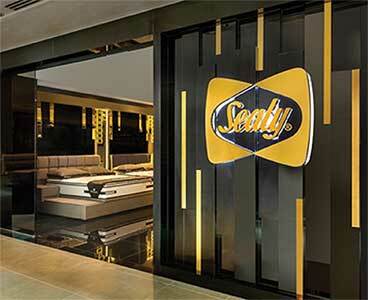 Sealy Asia was started in 2001 as a joint venture between Sealy Inc from the USA and Sealy Australia. Today, Sealy Asia has territorial responsibilities over 11 countries in the region, namely; Singapore, Hong Kong, Taiwan, South Korea, Malaysia, Indonesia, Brunei, Philippines, Cambodia, Vietnam and Laos. The group has 6 established offices in Singapore, Hong Kong, Malaysia, South Korea, Taiwan, Indonesia and distributors/dealers in Vietnam, Cambodia and Philippines. The company has grown from strength to strength since 2001 and is now firmly established in the more mature economies like Hong Kong, Singapore and Taiwan as well as growing rapidly in the other countries.